how to write data on grid in a plot? I have a mat file, which has some value distributed through out the globe, which dimention 181*361.
generally I plot that mat file as a spatial plot with colourbar showing the value. 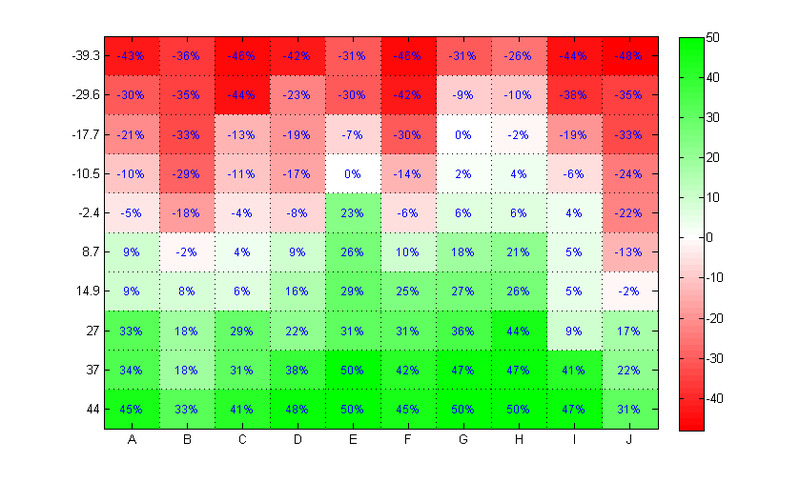 but now I want to put the value direct on the plot instead filling each grid with colour (which indicates a value). can anyone give me a solution to it? That looks like a heatmap chart. However, a 181x361 grid of text values will probably be illegible. On most screens that's only a few pixels per text label.